Today is Bible devotion day for the ladies in the gym. We will be talking about putting on the full armor of God taken from Ephesians 6. I love how Paul tells us to "be strong in the Lord and the strength of His might" and then tells us exactly how we can do that. I'm so thankful to be healthy and getting strong again but am even more thankful that no matter how this body of mine feels I can always be strong in the Lord. The journey we had in the NW was truly wonderful but the day before we headed back to Buea I fell sick. I decided we should persevere and head back home anyway. 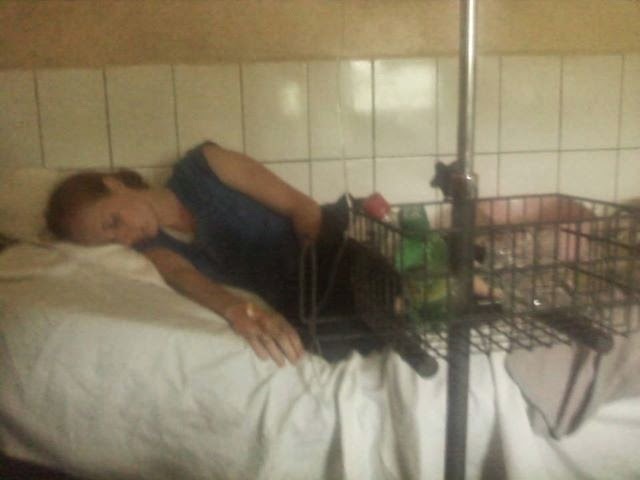 That night, I was admitted in the hospital for malaria and mastitis. I had one and it made my immune system weak and caused the other. Which one caused the other I don't know but after 2 different antibiotics, 2 different pain/fever meds, and 4 drips I started to feel better and was able to be released the next day. Each day I felt better and better and now I am 100% and in the gym again, praise God! 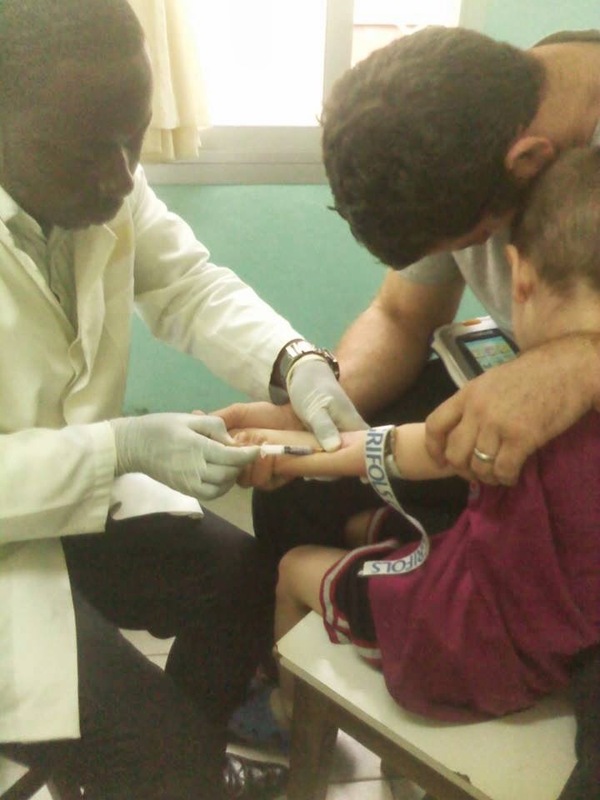 Once I started to feel better Jonathan fell sick with malaria and an infection. The doctor isn't sure what infection it was exactly because lack of test availability but we do know that his white blood cell count was high. After malaria meds and now being on antibiotics for 3 days (only 5 more to go!) he is feeling much better. I know it is due to the meds and the power of prayer. I know no matter where you live there will be sickness. The rain falls on the wicked and the righteous alike. I know we are exercising, eating healthy, and keep a clean home. However, when you are ministering to people in the city where there is a shortage of water (even though Buea is one of the wettest places in the world! ), in the village where not everyone is educated on sanitation, and live in a place where parasites like malaria are common we are more likely to pick up sickness. If we are able to help save or encourage one soul in Cameroon then all the sickness is worth it. We value your continued prayers as we fight the good fight and we continue to pray for you all as well! Hello all! It's been a very busy but GREAT past month. There is so much that I want to blog about. I will start by telling you about the first part of our trip in the North West part of Cameroon. Paul and Janet Kee are Church of Christ missionaries in an area called Kumbo. They have been in Cameroon for over 30 years. It was really neat getting to see their work and how God is using them in Cameroon. Here is Bro. Paul's office where he and his team keeps Bible study materials in English, Pidgin and the local language, Lamnso. Mrs. Kee was a wonderful hostess and spoiled us with all kinds of yummy food! There are more Muslims in the NW. Behind the kids is a mosque. Bro. Paul took us around his neighborhood and showed us some interesting places. Behind me is a warriors society where the people come together and practice for going to war if needed. Cameroonian women young and old are beautiful. This is outside the Chief's (called a Fon) palace. This statue is to represent the Nso people's ancestral mother. Getting ready to go inside the palace grounds. Bro. Paul is a Fie, a type of traditional leader, among the people in his area. He grew up in Cameroon and knows the people very well. He is also very Cameroonian. It was so encouraging to see his interaction with the locals. It reminds me of Jeremiah when he's with his fellow Ghanaians. This is where the chief comes out to see you. Some kind of bone left over from making sacrifices. One of the secret societies houses, which guards the Juju (witchcraft) We are glad the Gospel is being spread throughout the country. A Juju man. They say when his face is covered there is just an evil spirit behind the mask and it is not responsible and has no control over beating you. The Kees are strong in faith and have no fear over such things. When Juju is being practiced in Buea they give us a curfew and tell people not to go out during the ceremonies. In Kumbo they practiced Juju day and night freely and with no shame. One of the secret society buildings. Brother Paul helps with a Bible School and here he gave Jeremiah an opportunity to share Scripture. The Kee's have many aspects of their ministry such as teaching to help community development and opening a literacy center. Brother Paul goes to the village each weekend to teach, preach and do Church planting. Jeremiah and the kids went along with him this time. Jeremiah had some Bible studies and also took the kids to play in the river. Hannah and Jonathan had fun playing with the kids in the village. One of the meals they ate. Beans, yam and some kind of bread ball. One of the bridges they crossed in the village. A group of people burnt the house down of one of the village women. We were told it was because she is very contentious. Thank God, no one was hurt. Jeremiah was blessed with the opportunity to preach at one of the Churches of Christ in Kumbo. It was a lot of fun seeing Sister Janet teach the kids Sunday School class in Pidgin. She is great with the kids, Janet also has an eye glass ministry she runs. It was so encouraging seeing the work they are doing and able to be part of it, get ideas, and encourage/be encouraged by the saints there. What a blessing our time was with the Kees!